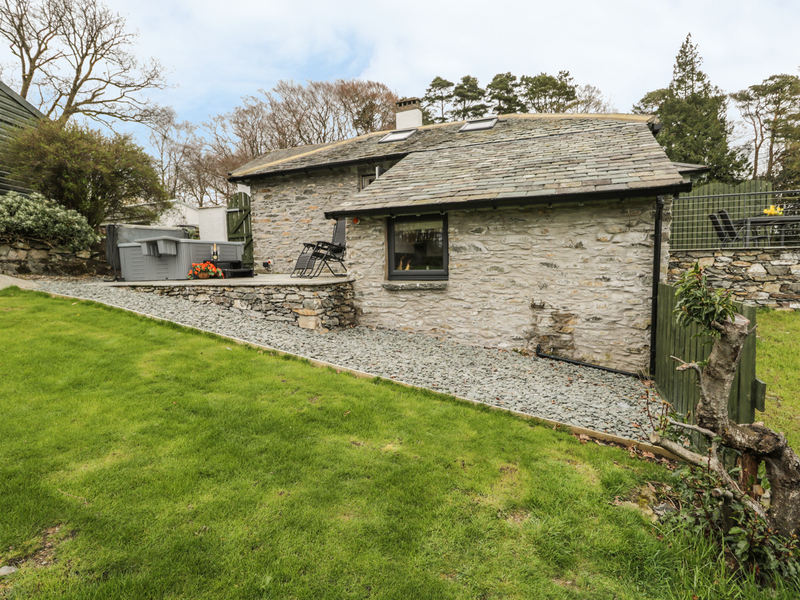 Acorn is a heart-warming cottage located in the village of Windermere in the Lake District. Hosting one king-size bedroom with an en-suite, this property can sleep up to two people. Inside you will also find a kitchen, and a lounge/diner with a woodburner. To the outside is ample off road parking, and private decking with lawn area, hot tub, and balcony. 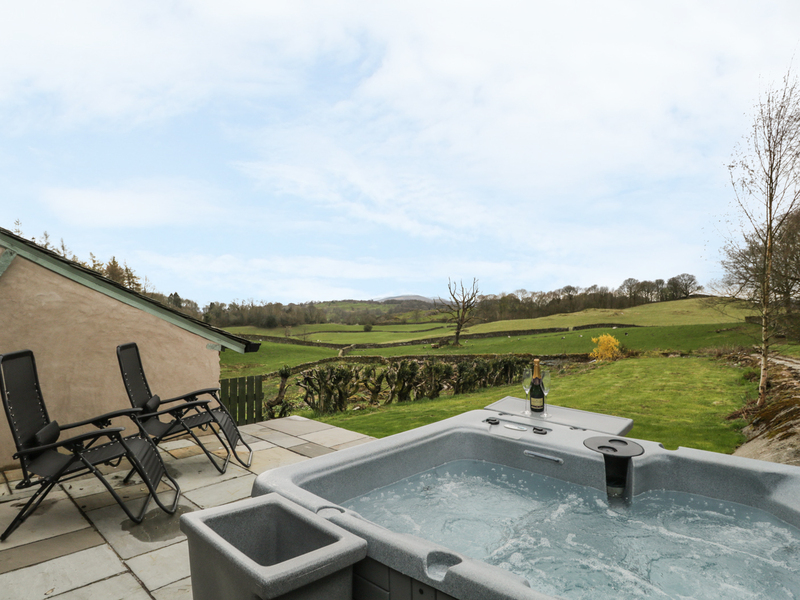 Resting in a lovely location with beautiful views, Acorn is a modern cottage in a relaxing part of England. Electric central heating with woodburning stove. Electric oven and hob, microwave, fridge/freezer, washing machine, dishwasher, TV with Freeview, WiFi. Fuel, power and starter pack for fire inc. in rent. Bed linen and towels inc. in rent. Ample off road parking. Private decking with lawn area and hot tub. Balcony. Sorry, no pets and no smoking. Shop and pub 1 mile. Note: The staircase in this property is slightly steeper than a normal staircase. A handrail is provided but they may not be suitable for those with mobility issues. Check in for this property is 4pm.